Taking the family dog on your annual holiday may be something you do every year, without a pause to consider the consequences of your actions. Whilst taking your pet with you, on your break, may solve the problem of what to do with your furry friend for the duration of your holiday excursion, travelling with animals presents a number of potential problems to overcome. As with travelling in general, holidaying with a pet requires that you pay particular attention to etiquette guidelines before you set off to your destination. The most obvious consideration is to ensure that your pet is fit and healthy to travel. Paying a quick visit to your vet, prior to departure, will ensure your pet is germ and disease free and is up-to-date with vaccinations. If you require a Health Certificate, to allow your pet to travel, the vet will also be able to issue one. Although many airlines now accept pets, always enquire about any restrictions when making initial travel booking enquiries. 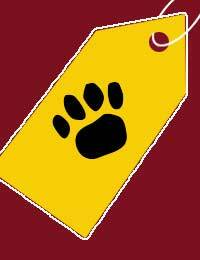 Also ensure you take along your pet’s collar, leash and ID tags when travelling to any destination. If you are planning to travel by car it makes sense to get your pet used to the experience before you set off on a long journey. Getting your pet used to the continual motion of the vehicle may require a number of short local trips before the animal feels at ease and comfortable. Taking along some water and food for your pet – even on the practice runs – is a good idea. If your pet is an anxious traveller you may want to consider putting a few drops of a holistic flower remedy into their food or water, just before commencing your journey. Giving your pet a ginger biscuit will also reduce the likelihood of motion sickness. Any new environment is likely to excite your pet, so making sure they accept and follow your command is important. Other people often don’t like to be overwhelmed by an excitable pet so train your dog to sit and wait for permission to enter. Teaching your pet how to calmly stay in their crate is also a useful method of reinforcing good behaviour wherever you go. More and more hotels, accommodation complexes and guesthouses are eager to welcome your pets. So that they are just as eager to welcome you back always ensure your pet is well groomed and smells nice at all times. Make sure your pet is always under control and doesn’t become a nuisance in any way. Excessive barking and aggressive behaviour is not acceptable, at any resort, so practicing obedience techniques before your holiday may be a useful preventative measure. Hygiene is an issue with pets wherever you go, so always be prepared to pick up your dog’s mess. Carrying antibacterial handwipes or gel, for your own hygiene maintenance is also worth considering.